Want to Sponsor a TC Student? The Training Center began at the birth of The Master’s Seminary. Chris Mueller was asked to teach senior theology, an ordination preparation class that covered the entire bible, theology and practical theology. To graduate, students were required to pass this class. The basics of this seminary class became the foundation for training men in the local church. 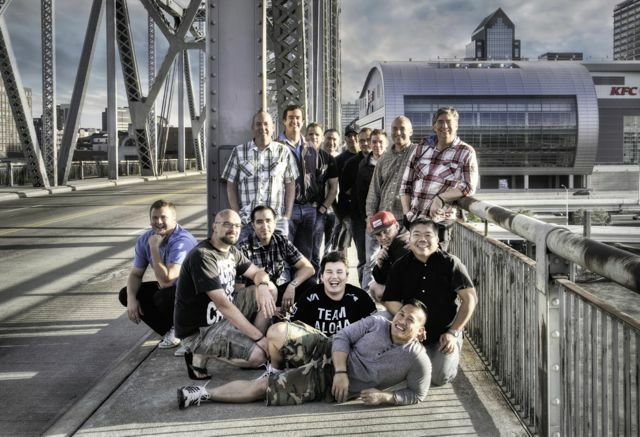 Chris built upon this teaching to train men through local church mentoring, involvement in shepherding others and focused study to equip men to function as true spiritual leaders within the church. Though functioning in part for two decades, in 2002 the Training Center was officially implemented at East Valley Bible Church with an inaugural class of 24 students from a variety of ministries within the church and churches in the area. Since that time, over 50 men have completed the first year and over 34 men have completed all three years. It is the passionate desire of the elders of Faith Bible Church to use the Training Center (along with The Master’s Seminary) to train men of God for ministry around the world. Chris Charles Mueller has served in pastoral ministry since 1975. He served as a youth staff member under Chuck Swindoll at Evangelical Free Church in Fullerton, California. At Grace Community Church in California, he served as a pastor to junior high, college, and as a pastoral assistant to John MacArthur. He has functioned as a senior pastor for eleven years in Washington state and in conjunction with his other ministry involvement, has served as an adjunct professor at Talbot, Master’s, and Phoenix Seminaries over the past 25 years. Chris’s strongest passion is to preach God’s Word, lead Christ’s Church and to train men for ministry and is fulfilling this calling as the teaching pastor of Faith Bible Church and point leader of the Training Center. He and his wife, Jean, have two grown sons, Matthew and Daniel and two amazing daughters-in-law, Danielle and Breanna. They reside in Wildomar, California. John Pleasnick came to California from Spokane, Washington where he served as college pastor at another Faith Bible Church (unaffiliated). Upon relocating to this area, John served as the equipping pastor at Las Brisas Bible Fellowship in Murrieta. In the Fall of 2003, a team of men (including John) planted Faith Bible Church, and he’s been serving here as a pastor ever since. John is a graduate of The Master’s Seminary and Southern Baptist Theological Seminary. John and his wife, Beth, first met in the 90′s in Spokane. Their relationship officially started on the last day of a short-term missions trip to Venezuela, and they have been married since 2001. In the last few years, God has blessed them with the birth of Abby, Izzy, and LJ. In contrast to most Californians – they like rainy days more than sunny ones! Nigel Shailer serves as Associate Pastor at Faith Bible Church in Murrieta, CA. His passion is to train and equip believers to serve in the local church as pastors, elders, missionaries, and in significant lay ministries. He is a discipler of men having been involved in ministry for over 25 years. Previously, Nigel served as Vice-Principal, Academic Dean, and Head of Bible Exposition at The Shepherd’s Bible College (a TMAI training institute) in New Zealand. Nigel earned a Bachelor of Applied Theology from Carey Baptist College in Auckland, New Zealand. He graduated in 2000 from The Master’s Seminary in Los Angeles with a Master of Divinity degree. And in 2013, he earned a Doctor of Ministry degree from The Master’s Seminary. Nigel married Sereena in 1991. They are both “Kiwis” (born and raised in New Zealand). Nigel loves to watch the “All Blacks” playing rugby. He cycles 2-3 times a week. A three-year program running September through early June, Training Center students meet for one single three-hour classroom gathering each week. Classes are primarily scheduled from 4:00 – 7:00pm or 7:00 -10:00 pm so that men can attend following work. Outside study, reading, writing, and class preparation will require an additional 3 to 12 hours, depending on the class year of the Training Center and the students themselves. Intense study of the entire Bible, all theology and practical theology with a focus on real life ministry and heart-driven service within the church. Introduction to preaching, teaching, expositional Greek, exegesis, study, expositional theology, discernment in reading and leading, counseling, pastoral care, eldership, shepherding, training men, leadership, purpose, calling, weddings, funerals, finances, and more. Setting direction, philosophy of ministry, leading change, sending and being sent, advanced teaching, preaching and exegesis, and your unique purpose in God’s work for God’s glory. The weekly three-hour gathering is more than just class time, it is a life-on-life mentoring process involving every student as they share with each other and help shape one another’s lives. The learning process is integrated, harmonizing the teaching topics with the reading topics to formulate discussion over key issues of ministry. The training is church-based, led by a pastor, and uses other pastors to give input at every level of the training process. The Training Center recognizes the value of a seminary education and yet, many men cannot attend seminary. Therefore, the Training Center focuses on equipping the man of God with the various tools he will repeatedly use in everyday ministry. For example, the Training Center teaches an exegetical Greek, not a grammatical study of Greek. This enables the student to learn how to determine the author’s intended meaning of any text using the many Greek tools available today. The Training Center focuses on developing a character that is honest, a commitment that is passionate, an understanding of Bible content that is alive, and developing communication skills that are practical, accurate, clear and engaging. Also, because Jesus said in Luke 6:40b “everyone, after he has been fully trained, will be like his teacher,” the Training Center believes that future pastors and elders are best trained by experienced pastors and elders who serve in local churches. The Training Center of Faith Bible Church is committed to coming alongside churches in southern California and provide pastor/elder training to “elder-approved and elder-sent” men. Our desire is not to train men solely for FBC, or to function in churches like FBC alone, but to train men for usefulness in any solid church. We require each man sent from a local church to have an elder or pastor accompany him to his training day at least one time per month. This assures that the training process becomes an extension of each church, assisting each body in fulfilling 2 Timothy 2:2. A strong desire for pastoral ministry. The fruit of changed lives already proven from their existing ministry. The approval of their senior pastor and elder team. The gift of preaching, teaching or the ability to teach clearly established. A signed contract and application filled out by the end of May in order to start in the upcoming September. NOTE: Classes are limited in size; therefore, it is best to apply early. Contracts and applications can be received in January for the September start date. The Training Center involves a great deal of time spent in class, in study, in special Saturday Training Days (four times per year), and attending an annual pastor’s conference. It also involves the direct involvement of a pastor or elder from the sending church. Students with demanding jobs or uncertain travel schedules, those who know they will miss more than three class sessions a semester, or those not affirmed by their pastoral leadership need not apply. Leadership teams who are not able to have an elder or pastor attend with their student at least once per month, also need not apply. The Training Center is a non-profit ministry of Faith Bible Church to our church and the local church community. For budgeting purposes each year, the total cost for the Training Center is typically $1500 for both semesters. This covers both class costs and conference costs. The cost of tuition is approximately $750 per semester. (All resources, special training sessions, printing costs, etc. are included.) Along with the cost of class, each year every student is required to attend one pastor’s conference with the other Training Center students of their class. The dates are known early and total cost for each conference is included in tuition. In addition, year two students are required to purchase and install Logos Bible software onto a laptop computer. Logos is purchased just before year two, at a special price of approx. $600, and includes a day of in-house training. Additional upgrades and resources for Logos are up to the student’s discretion and desire. Each semester, tuition is collected on the first day of class in September and January. Information on purchasing the Logos software is provided in class, and payment is made directly to Logos in August, preceding the start of year 2. Contracts and applications are available on Sundays at the Info Table.